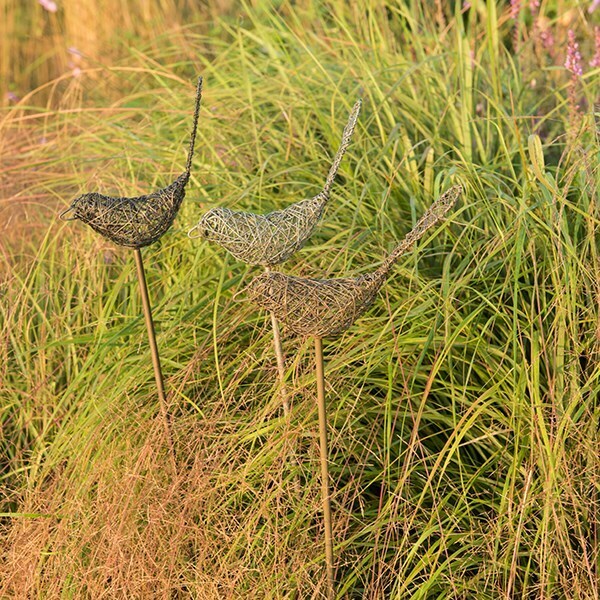 These quirky birds make a wonderfully decorative and functional addition to the garden. Ideal for marking out dormant plants and bulbs in the border. 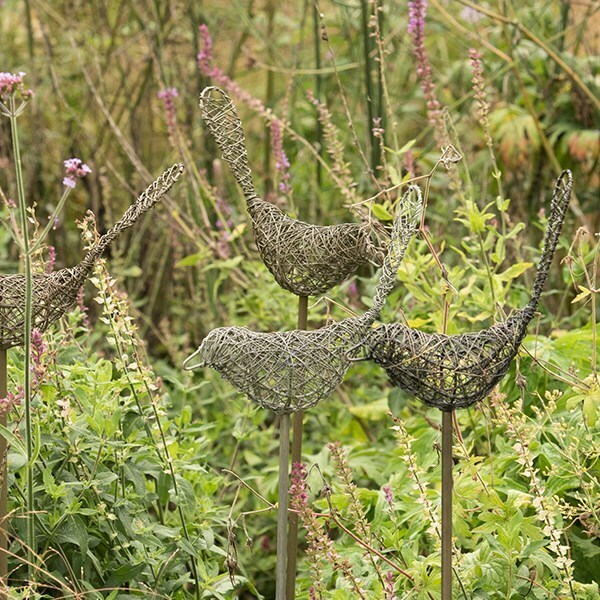 Combine with stakes of other colours and heights to create a striking contrast and bring the garden to life. Simple screw-fit assembly required. Finished with a protective patina and clear lacquer for outdoor use. Please note: when pushing the stake into hard ground, hold the stem and push. Do NOT put all your weight on the wire bird.